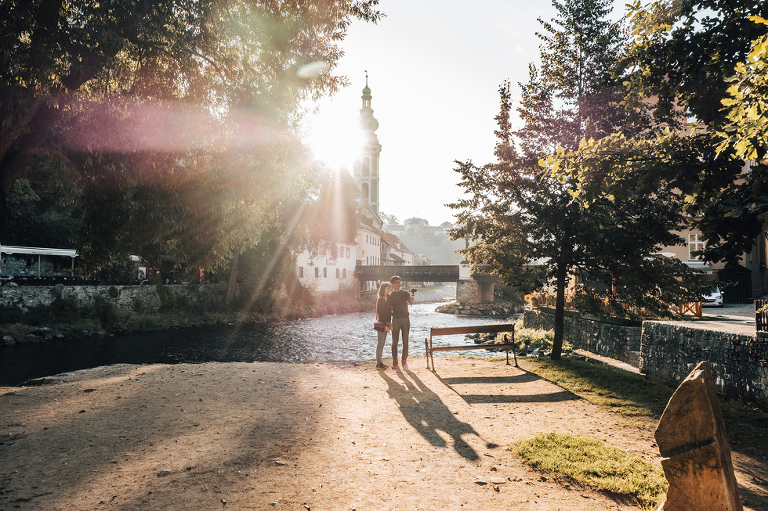 A young couple from Singapore got engaged in a beautiful historical city of Cesky Krumlov. 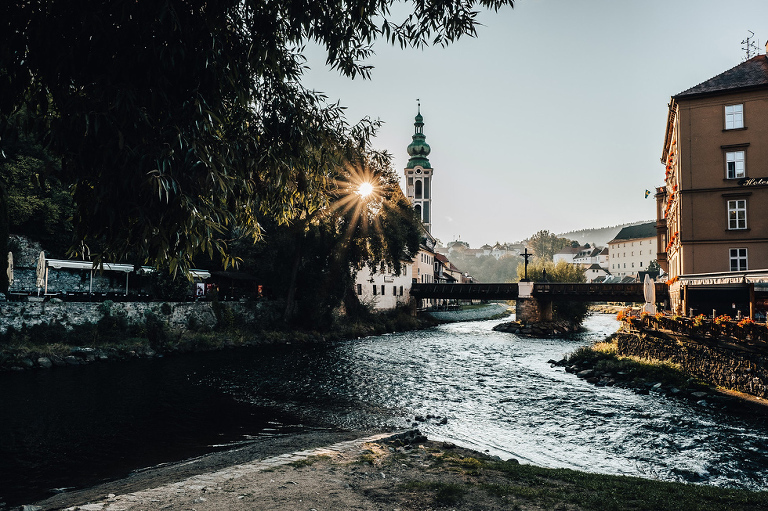 Ever since then I visited picturesque Cesky Krumlov I knew I want to do a photo session there. It’s not as quiet as it used to be, because of the growing tourism. So the early morning was the only option how to have the city empty. How to get her there on time? Lucikly waking up early did fit into their schedule because they got only a few hours in the city. 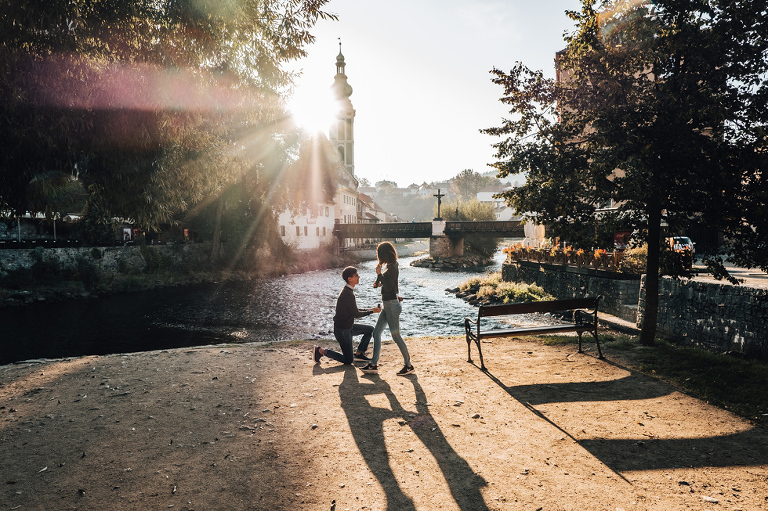 I picked this spot for the surprise proposal because I knew the sun is going to pop up behind the tower. And thanks god we were blessed with such a beautiful sunny morning that day.